I am a Christ following, husband loving, Converse wearing, Arcade Fire listening, mini van driving, frequent concert going, vegetarian eating, food conscious, dessert loving, micro-brew drinking, at times overly sarcastic, occasionally funny, cooking obsessed, artistically bent, photograph taking, homeschooling mother of three (15, 13, and 11). General thoughts on all of the above. 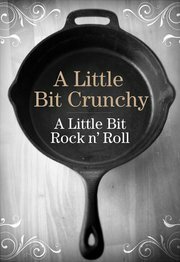 Why 'A Little Bit Crunchy A Little Bit Rock and Roll'? Can you repost my recipes? I believe, when it comes to cooking, there isn't a whole lot new under the sun. The second I think I've come up with a wildly creative dish that would truly be "my own" I Google the ingredients only to find thousands of others that have had the same wildly creative idea that I have. That being said: Feel free to cook and repost any of my recipes. All I ask is that you tie a link back to my blog and give credit back to any sites that I list as resources. 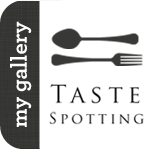 Please note: You may NOT use both my photo images and my recipe on your blog or website without my approval, thank you! Can you purchase my photography? Yes. I have a B.A. in Studio Art where I emphasized in drawing, printmaking, and art history. After putting my art on hold to raise a family I decided one day to pick up my husband's camera. (Now affectingly referred to as MY camera.) You can view photographs on my photography page, Not Quite Wordless Wednesday posts or my ArtSlant page and then contact me for pricing information. Do I accept samples of products? Will I write about them? If you've got a product you think would work well with the way I cook, please feel free to send some my way and I would be happy to try it out. Occasionally I will mention products I love in my recipes. Though I cannot promise that I will mention your product in a post, if I do end up loving it and choose to mention it, I will disclose to my readers that I received the product from your company as a gift. Will I endorse a cookbook or write a review? As with products, feel free to send your cookbook my way. I may choose to write about a specific recipe I really love, and will give a link back to your site along with disclosing that the cookbook was sent to me as a gift. Will I write a blog post about your product and do I except advertising? If you send me a product that I do end up loving and you would like me to write a post about your product, or your are interested in possibly advertising with A Little Bit Crunchy, please contact me for pricing information and for my monthly traffic stats. Will I run a promotion of giveaway? Currently at this time I am not looking to run promotions or giveaways. My blog logo and much of my blog design was done with the help of my very creative husband. My husband is an Art Director/Designer for an international communications company where he designs both paper and online publications. From logo design to web design, he does it all.... well, at least a lot. Check out his site: Doug the Designer and contact him for any freelance work. 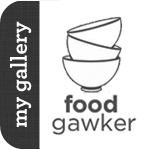 America's Test Kitchen Feed "Blogger Challenge"